The other name of prong collar is pinch collar that involves various links. These links can be reduced or stretched out by taking out or adding the links. Some people wince at the sight of prong collar and considered it cruel. But before being judgmental, it is important to know the prong collar purpose. If you properly fit the prong collar on your dog’s neck, then it will not harm your pooch. Rather it is meant to be the most benevolent way to train your four-legged friend. As a pet lover, if you want to know whether pong collar is good or bad, then here I will provide you the profound understanding of the same. First, let’s discuss the pros of prong collars. If prong collar is used correctly around the entire neck of your pet, then it works as a great training tool to communicate with your loving pooch. It will not harm your faithful friend. Keep it in mind that the size of the prong links must be fitting for the size of your pooch. Often dog owners do not take their pet out for walks due to dog pulls or leash reactive. As a result, the pet develops undesirable behavior like barking and chewing. To avoid this problem, the owner can use this life-saving prong collar for their beloved pet. 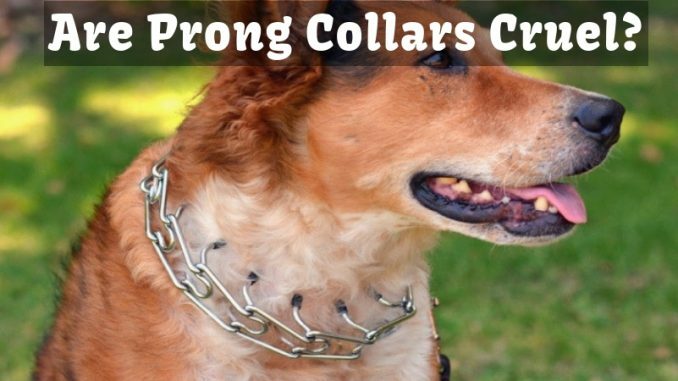 The prong collar should be appropriately fitted around your dog’s neck. You will enjoy better communication with your pooch if you place it higher on the neck. Make sure it should sit right below the ears and should fit snug but not too tight. After throwing light on the benefits of the prong collar, let’s now come to the negative side of prong collars. Prong collar injuries– Sometimes the improper way of handling prong collar may cause injuries to your loving pet. The injury can be so dreadful that it can tear apart your dog’s neck. Cause aggressiveness– Some dogs can become hostile on a leash if they suffer from pain. Ensure that these collars should be used to train by negative reinforcement. Avoid using it on an unattended doggie like the one that is tethered in the yard. Bodily issues– The improper fitting of the prong collar may restrict the flow of energy in the dog’s neck. Many bodily problems can arise like lameness, skin issues, lung and heart problems, allergies, ear and eye conditions, digestive problems, thyroid gland dysfunction. 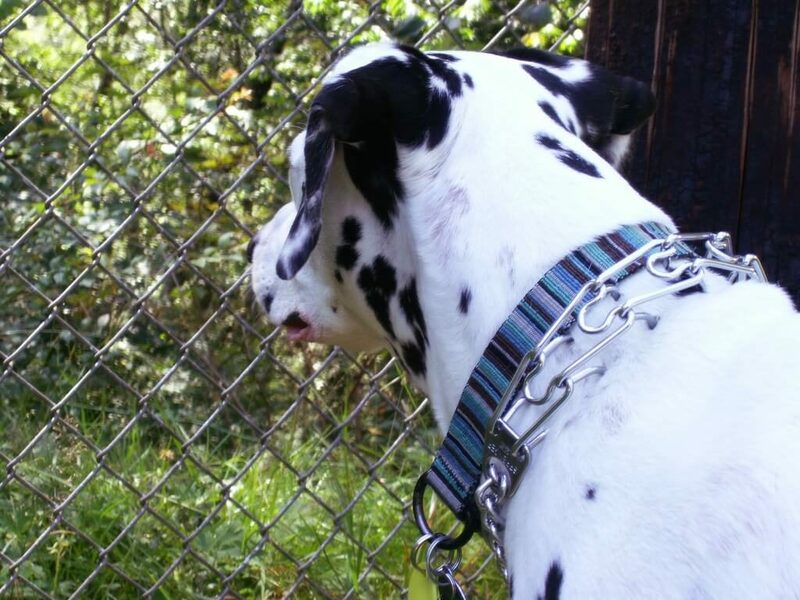 Are prong collars safe? No doubt, prong collar controversy is real! But the truth about prong collars is that it can be quite effective if it is used under supervision. If your doggie is leash reactive or pulls you when you trying to walk with him, then use a prong collar for your furry friend. The prong collars become unsafe when it is misused. It is designed for some explicit purpose, so if you make use of prong collars with some specific method of usage for your valuable pets, then you can effectively train your pooch. In a healthy, safe and compassionate manner you can handle your dog with prong collars. With proper research on the net and in the market, you can make out that whether prong collars are helpful to deal with your precious pet. You can take advice from experts and trainers. If you are confused whether prong collar is comfortable or not for your dear pet and looking for something great tool to keep your pet in discipline, then even leather dog collars will serve your purpose.